If you have sustained injuries in an accident with a tractor trailer, semi-truck or big rig, contact a Salt Lake City wrongful death attorney Joseph Jardine is here to help you get your life back on track. Reality TV fans will be saddened to hear that Lydia Compton Foster, star of the popular TV show “Three Wives, One Husband,” was seriously injured when her car was hit by a semi-truck. Foster, who is one of three wives in a plural family that is chronicled by the show, was 23 weeks pregnant. Foster’s baby did not survive and was delivered stillborn at a hospital. Her son, age 18 months, was in the back seat and was unharmed in the accident. The accident occurred on Highway 191 between Moab and Rockland Ranch, the Foster family’s enclave. Foster was flown by helicopter to a medical facility in Farmington, New Mexico, and then later transferred to a hospital in Albuquerque. Bates’ husband and fellow co-star on the show, Enoch Foster, tells media that his wife suffered from a broken pelvis, nine broken ribs, internal bleeding, and injuries to her kidney and spleen. Although the circumstances surrounding this particular accident are unknown at this time, any time that a big rig or semi-truck collides with a passenger vehicle, the results can be devastating. Big rigs weigh up to 40 times more than standard cars on the roadway, and oftentimes they are carrying loads that add to their weight. This makes them virtually unstoppable when something gets in their path. According to the Utah Department of Public Safety Highway Safety Office, there were 62,471 motor vehicle crashes in Utah in 2016, the most recent year for which data is available. Those accidents led to 26,738 injuries and 281 fatalities. A motor vehicle crash occurs in Utah every eight minutes, with one person injured every 19 minutes, and one person dying every 31 hours on average. When it comes to semi-truck accidents, driver error and driver fatigue are two top causes. Driving under the influence, failure to properly secure loads, carrying low-filled liquid loads, and driver distraction are also often-cited causes of serious big truck accidents. Leading causes of all motor vehicle crashes in Utah in 2016 included following too closely, failing to yield, speeding, failing to keep in proper lane, and distracted driving. Leading causes of fatal crashes included speeding, unrestrained occupants, failing to yield, drunk driving and overcorrecting. The year 2016 saw the most ever traffic crashes in Utah. When the driver of a semi-truck or big rig causes an accident, injured parties have a right to seek compensation for their losses. Sometimes the defendant in such a claim is the operator of the big rig, but oftentimes it is the company for which the driver works—it can also be both. 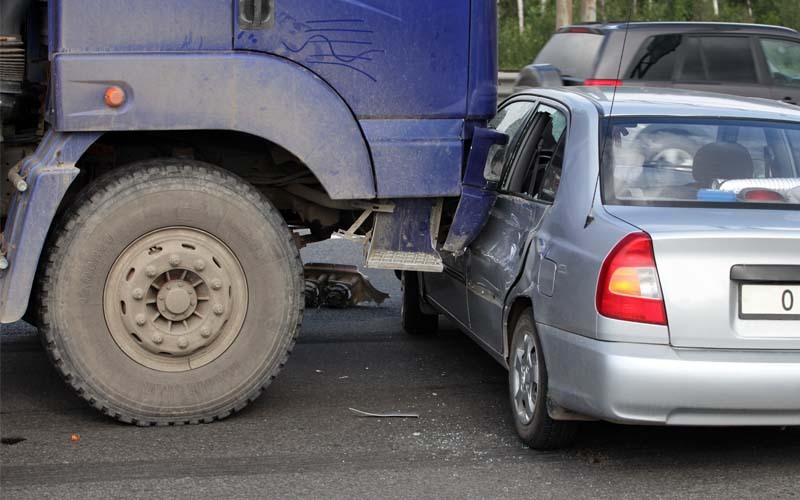 If you have sustained injuries in an accident with a tractor trailer, semi-truck or big rig, Salt Lake City Wrongful Death Attorneys at Jardine Law Offices are here to help you get your life back on track. We have the experience and resources to help you get justice. Call 801-350-3506 or click here to talk with us about your case. We are ready to listen and ready to fight for your rights.